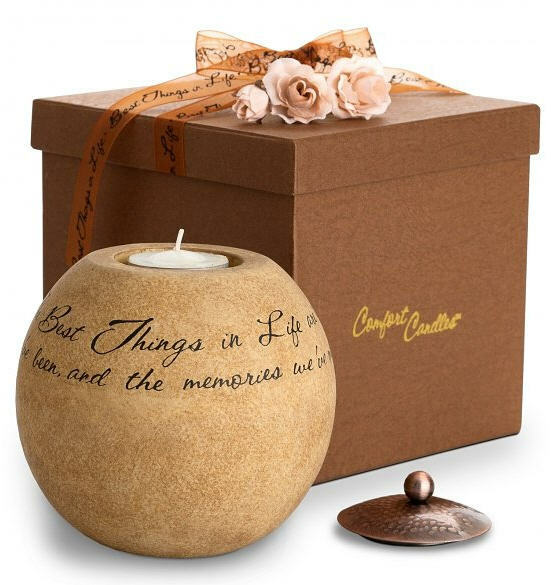 This versatile candles holds a tea light and includes a beautiful copper lid. With its warm coloration and finish, the candle is perfect adding a decorative touch to any home. "The Best Things in Life are the people we love, the places we've been, and the memories we've made along the way" . The candle will arrive packaged in a elegant gift box accented with ribbon and flowers. Measures 8 x 8 x 8 Inches .